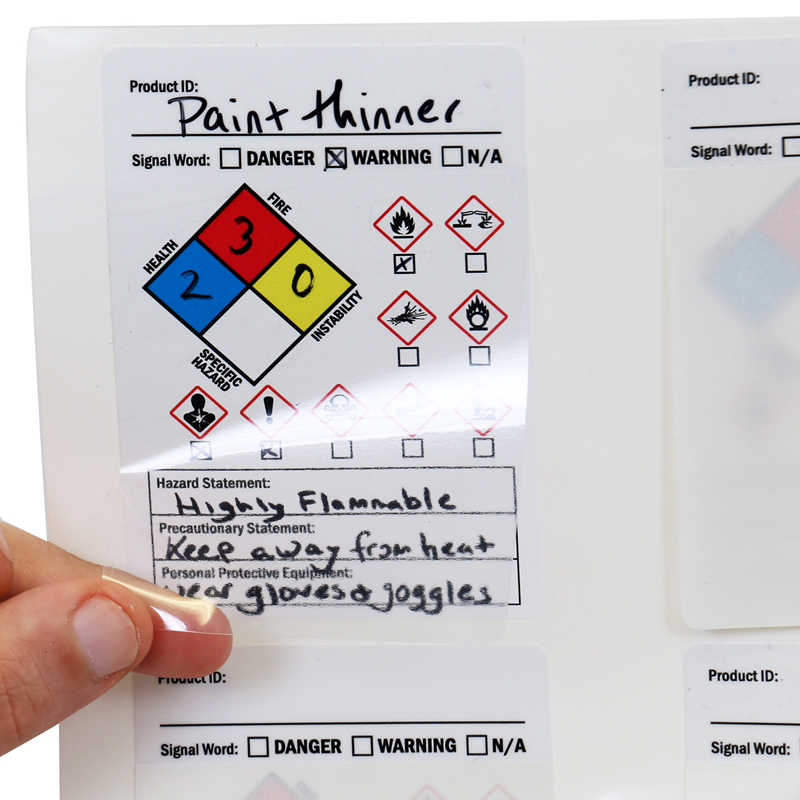 Transfer chemical hazard information from parent chemical container to smaller, secondary containers with our GHS Secondary Label easily, resulting in a safer workplace and more accurate chemical labeling. 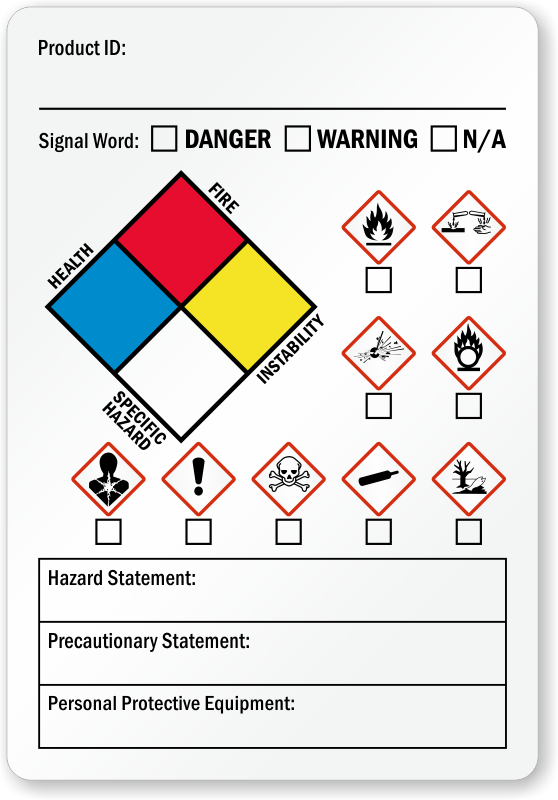 Keep uniformity in your chemical safety labeling while complying with the new Hazard Communication Standard. 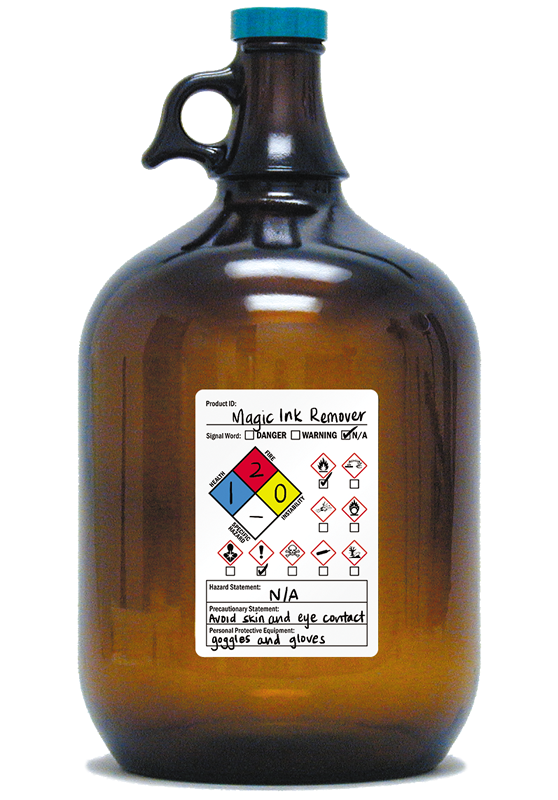 Polyester labels include clear flap with paper liner. Write with pen or marker and apply clear flap to seal. 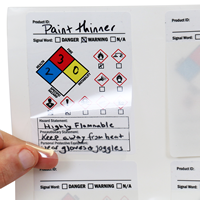 Strong, 2 mils thick acrylic adhesive for adhesion to plastic, wood or metal. Wipe off grease and water from surface. 2-5 years of outdoor durability. They are very compact; but have everything you need on them, very good quality - very happy with the order! Exactly what we were needing. Thanks! Good quality. Fast shipping time. Just wish there was more room for precautionary statements. Arrived as ordered and quickly. Thank you. Just what we needed. Ink doesn't rub off. Sticks very well.